This is like the first example given in Euclid’s Geometric Algebra, showing the Distributive Property. Draw a rectangle with one side a. Make the other side (b + c). 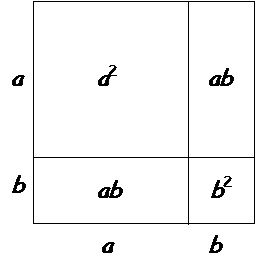 The area of the large rectangle equals the sum of the two smaller rectangles. This is a double Distributive Property diagram. 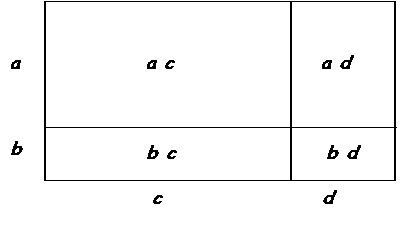 Draw a rectangle with sides (a + b) and (c + d). Split it into four smaller rectangles. The small rectangles have areas ac, ad, etc. Draw a square with sides (a + b). You get a square with sides of a and a square with sides of b, along with two matching rectangles ab. This is the hardest diagram to figure out, so if you got this one, you understand geometric algebra very well. Draw a square with sides of a (the bold lines on this diagram below). 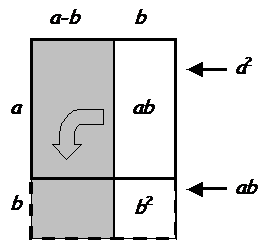 Cut off a slice of width b (area ab). Lay this slice below the square. This new position is shown as dashed lines on the diagram. Cut off the section marked . 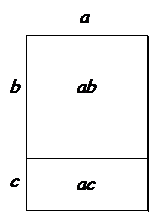 Throw this square away, leaving only the shaded rectangle with length (a + b) and width (a – b). We started with , took away , and ended up with the rectangle we were looking for: . 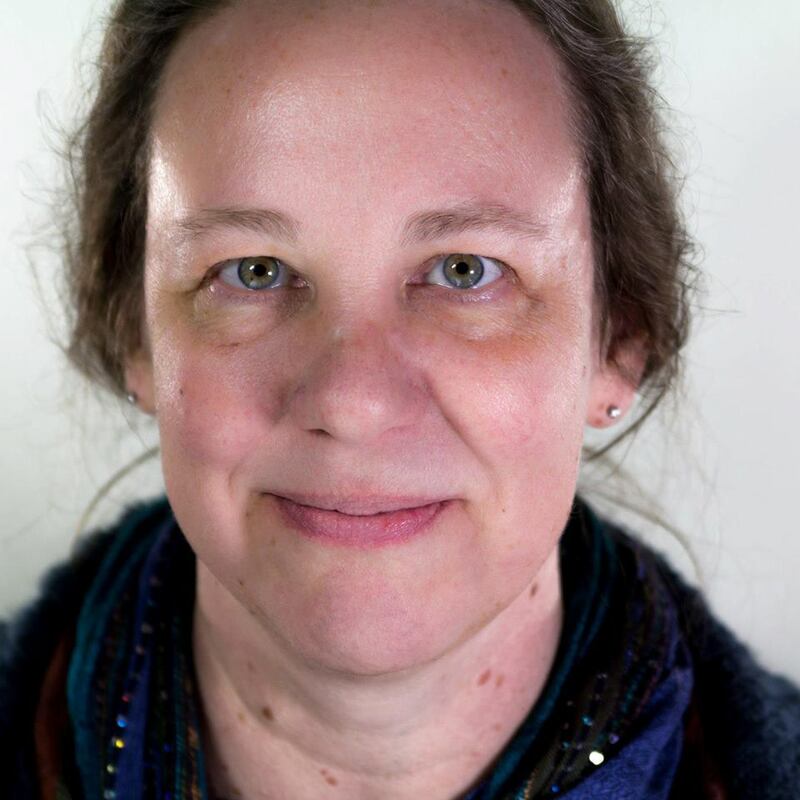 It may be beyond the math skill level of the kids we’re hoping to help, but your Euclid’s Geometric Algebra and other online math resources are a welcome online treat. Keep it up.